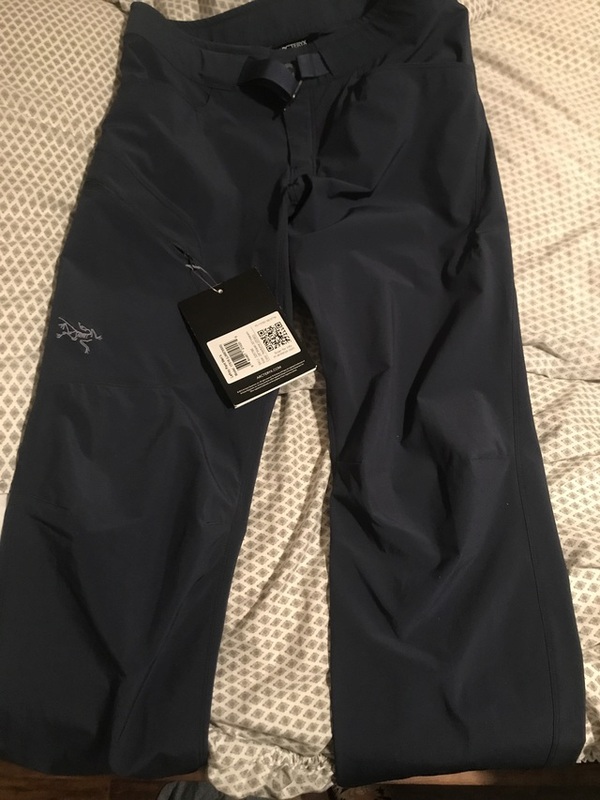 I have a size 28 Arcteryx Lefroy Pant. Brand New with tags. They are a blue colour (product colour is labelled as nocturne). They would probably fit a medium sized woman as well.